Mathew Jessep is a commercial lawyer with specialist skills and experience in Sports, Esports, Media and Entertainment Law, operating mainly out of Australia. 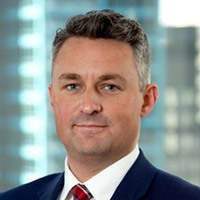 In June 2018 Mat joined the Sydney office of global law firm, DWF, as a Supervising Lawyer (Special Counsel equivalent) where he acts for a range of Australian and international clients on commercial, transactional, and governance issues. As a dedicated Sports lawyer, Mat has a solid record of experience advising sporting organisations, leagues, teams, athletes, sponsors, investors and rights holders. Mat has acted on a range of matters including: intellectual property; commercial agreements; transactions; media rights deals; player contracts; member protection; disputes; integrity; and governance issues. In relation to sporting disputes, Mat has also sat on tribunals and acted as Judiciary Counsel for sporting bodies, including in relation to: harassment; bullying; child protection; team selection; competition rule violations; and athlete conduct issues. Since 2016 Mat has developed significant expertise in the high-growth esports sector, having advised players, teams, investors, and event organisers on a broad range of commercial and legal matters. Since that time Mat has become Australia’s pre-eminent lawyer in esports, where he now acts for investors, teams, and tournament operators on high value cross-border transactions. Mat is also the co-founder of industry body, the Esports Games Association Australia (EGAA) and is now a board member and became Interim CEO in 2018. Mat regularly speaks on sports law topics at conferences and to the media and is an active member of the Australia and New Zealand Sports Law Association (ANZSLA) and the US-based Sports Lawyers Association (SLA).